A somewhat notorious blogger from the Wall Street Journal (Ben Worthen) has taken a break from his endless Microsoft praises and turned his attention to IBM. This isn’t necessarily a sign that innovation is slowing. The U.S. Patent and Trademark Office announced recently that it has a backlog of 1,112,517 patent applications. To put that number in perspective, the USPTO approved a total of 157,284 patents in 2007. Now, that’s a lot. But wait! Look who is among the biggest customers. Microsoft, which once was only a modest customer of the U.S. Patent and Trademark Office, has been one of its biggest customers in recent years. If you have not read the quotes at the top of this post, you are advised to do so now. The latest cross-licensing deal with JVC does not mention Linux. Paul McDougal is just trying to scare you at the moment, so you are encouraged not to listen to him. That’s just what InformationWeek does -- it spreads Linux FUD. 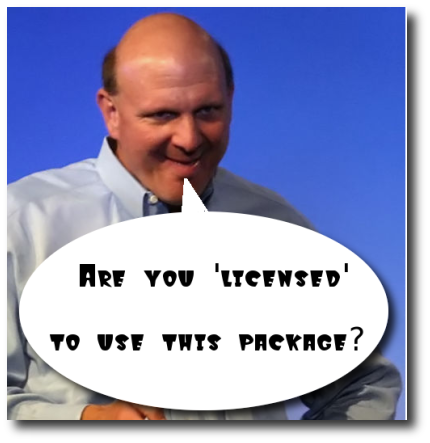 Impose a tax on Linux distribution so that the price of Linux is elevated, Linux is made less attractive (hello, Windows) and Microsoft enjoys a revenue stream from products that it never developed. Brag about patents and repeatedly claim that Linux infringes on a set of unspecified patents. This scares potential Linux takers who think about long-term “obligations”. It’s just another SCO, to put it in simple terms. And then there are other factors to consider such as OOXML, Silverlight and other patent-protected technologies which Microsoft strives to make widespread and unavoidable.